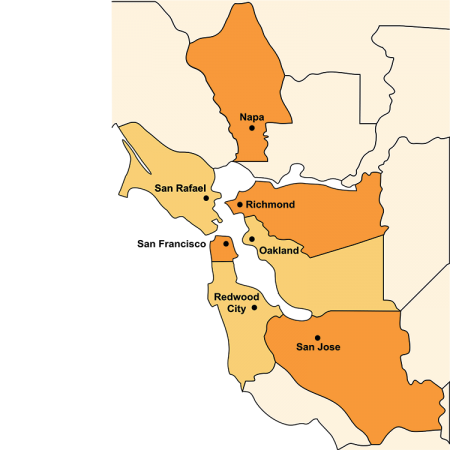 Bay Area Legal Aid hosts Domestic Violence Restraining Order clinics in Redwood City every Monday, Wednesday, and Friday at 9:00 am; and every Wednesday at 1:30 pm. Clinics last approximately 3.5 hours. BayLegal Staff and Volunteers assist participants with pro per (self-represented) pleadings to obtain a Domestic Violence Temporary Restraining Order and understand the process. DVRO Return Order/Hearing Preparation Clinics: Every Monday, Wednesday, Thursday, and Friday at 4:00 pm. Return Order presentations may be viewed on YouTube: English: Understanding Your Temporary Restraining Order or Español: Entendiendo su orden de restricción temporal.